I'm still on a finishing roll with 2 baby quilt tops done and ready for quilting. If you've been watching Lori's blog you can see she's got a tutorial for mini design boards. What a great idea. Well I have a table design board that is brand new. 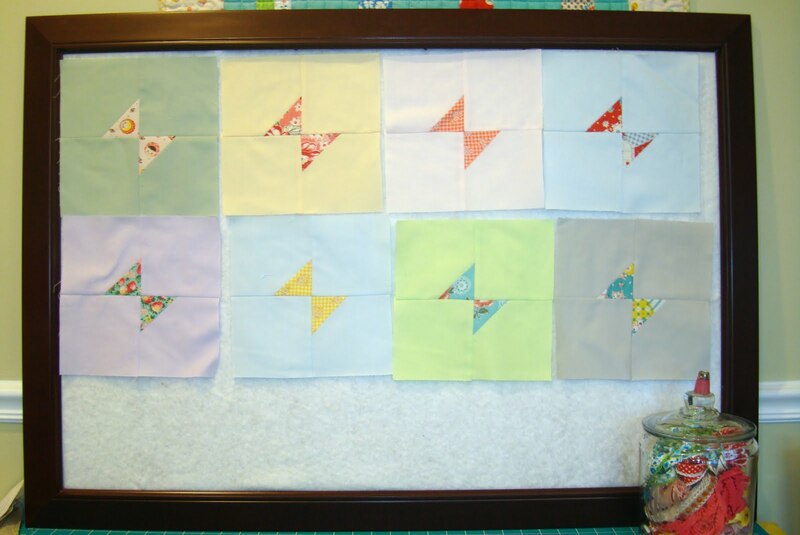 I've been wanting a frame forever to make a design board like the one that sits by Lori's cutting table. For my birthday Shelbie made me this design board above. And I love it. Thanks Shelbie. 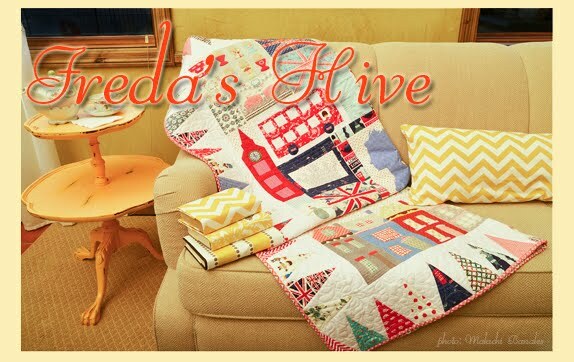 I've been looking at the quilt made by the amazingly talented Kerri at Lovely Little Handmades. You can see her quilt here. Go look at it. Then come back. Ok? I love love Kerri's quilt. I pinned it at pinterest and have printed it out to gaze at while I made my blocks. 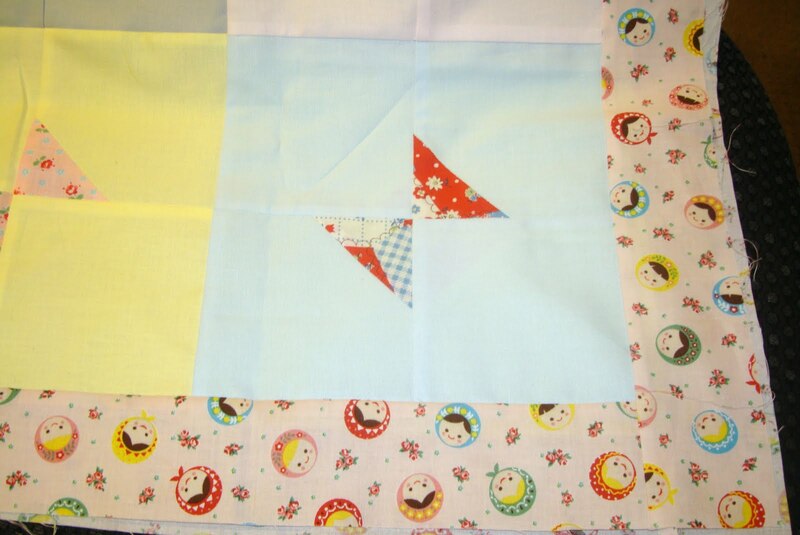 I made 2 little borders for my baby quilts. This quilt worked up so fast I made 2 in an afternoon. Seriously. So simple and with such beautiful impact. I love the soft plain fabrics and the assortment of prints. I made my quilt just slightly different but I used her 4.5" x 4 block size for each color and I quick cornered my blocks with 2.5" squares. 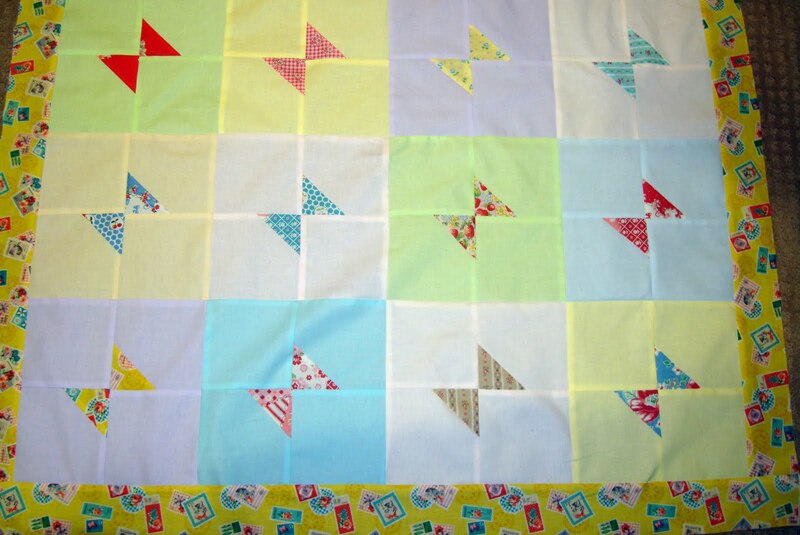 I love it so much I want to make a full sized quilt with this idea. I'll show you more when I get them quilted. Can't wait. You should make one too! It only takes an afternoon. And can make a little dent in your stash. Great little design board Shelbie made for you. Super sweet quilt and I am swooning over that border fabric. Thanks for sharing! Cute! 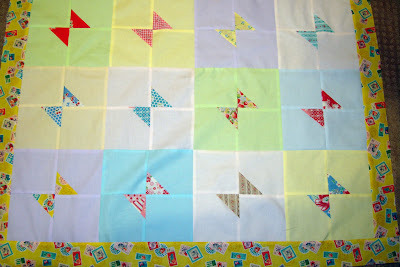 love the pastels in the blocks and the border fabrics are so sweet. Thanks, it's good to have in mind for a quick quilt! 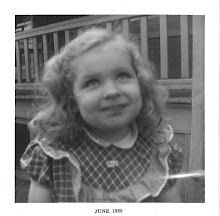 Really cute Nanette! This is the first I've seen Kerri of Lovely Little Handmades. Thanks for the lead. She has wonderful ideas. I'm thinking about it! You temptress you! Those are both so pretty, Nanette! They look super sweet for babies. 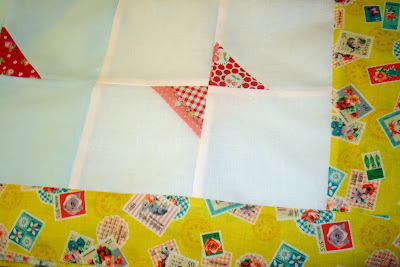 I am liking the idea of an easy quilt right about now. Such a cute idea. They will make pretty little quilts. It's a perfect baby quilt. Thanks for reminding me of the design board, I've been meaning to go to Loris to see that. Shelbie's design board is awesome! Such a thoughtful gorgeous gift! !